Nohoch Chen Archaeological Park, the hub of our Belize Cave Tubing experience, and your next adventure. Located at the Sibun Caves Branch cave tubing site, this network of limestone caves are a top tubing attraction . Grab your life vest and cave light, and savor the leisurely jungle trail under the canopy of our primary broad-leaf rain-forest to the entrance Belize's most popular cave system. Cool and comfortable, float through gorgeous stalactite and stalagmite filled caverns, where the ancient Maya people once practiced the rite of traveling through the underworld, ruled by the nine dark lords of the their cosmological religion. 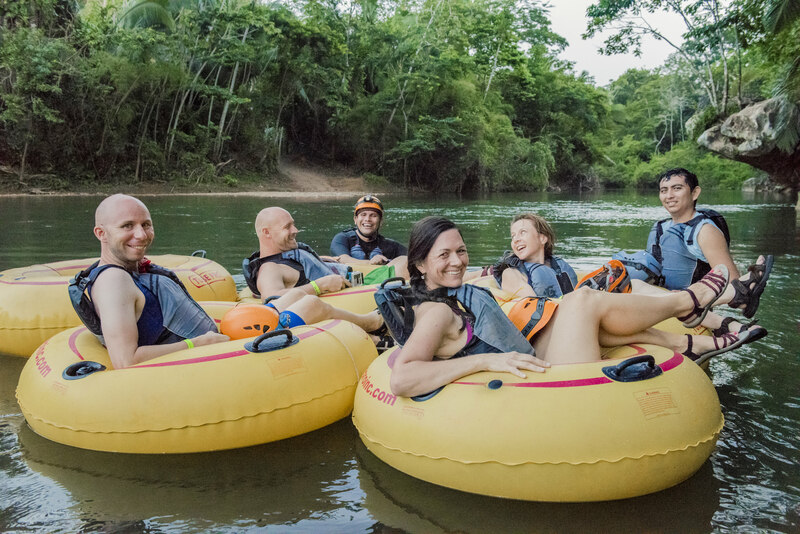 Your guides will take you safely through the system and then at the end of the caves, enjoy a beautiful outdoor float under the canopy of the rain forest with. End your tour off with fabulous local lunch before heading back to reality.